You are here: Home Drone Operations and Safety Don’t Fly That Drone Unprotected! Over the 2017 holidays, more than half a million new drones (or Unmanned Aerial System, the more accurate name used for Drones) were registered in the United States alone. And reportedly, a significant number of these were crashed within days of being unboxed. Faine Greenwood, an assistant researcher at the Harvard Humanitarian Initiative, has been cataloging some of these using the #dronecrashmas hashtag. While many drone crashes are unfortunate, yet funny, they are not always so. If you are thinking of a consumer drones as toys, don’t assume they can’t hurt you or someone else. And, the injuries or potential damage goes up as the size of the drone increases. 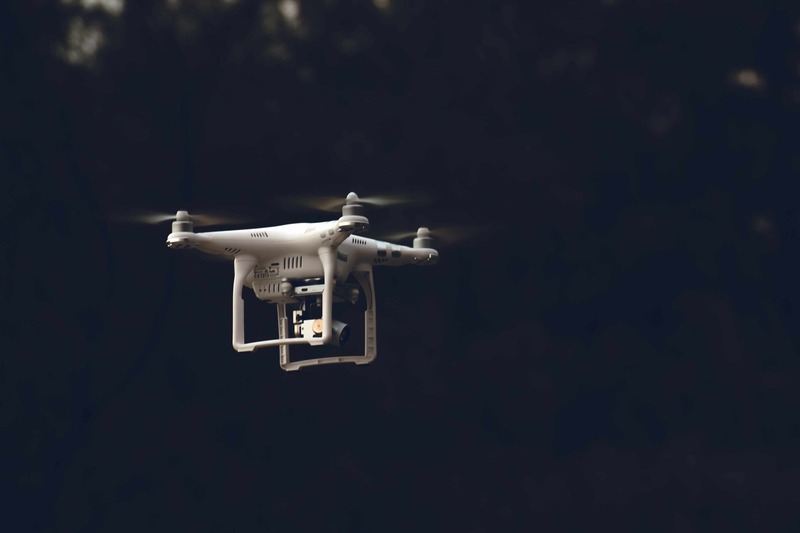 You may be unaware that drones are aircraft and are treated as such by the Federal Aviation Administration, and that there are potential legal penalties for irresponsible drone use. Worse, an errant drone can cause real damage, which can cost dearly. So what should you do if you just bought a new drone, to protect yourself, others around you and the drone? Get a drone protection policy. If you are going to fly the new drone commercially, then the list of rules are dramatically longer, starting with getting your FAA certification. For more details on flying drones commercially, see this post. Every country, and some states have implemented rules that govern what kinds of drones can be flown, who can fly a drone, where they can be flown, and other specific limitations on how they may be used. Most of these rules are good common sense, but others are designed to reduce the risks associated with operating a drone. You should know the rules that govern where you will be flying your drone, because “not knowing” cannot be used in your defense. In fact, not knowing the rules might suggest negligence on your part. Register your model aircraft. THE FAA rules does not require registration for drones that are very small and lightweight (at takeoff, including all equipment on the drone), weighing less than 0.55 pounds. For example, the FAA provides an example of the Sky Viper Drone at 4.7 ounces which would be exempt, while the Parrot Bebop at 14.6 ounces does require registration. If you cannot meet all the requirements of operating under the Special Rule for Small Model Aircraft, and specifically if you are not using the drone for hobby or recreation, then you must follow the Part 107 Rule. It’s really important that Drone Flyers know and understand the rules under which they are operating. For example, Drone pilots are not allowed to operate in Prohibited Areas, Special Flight Rule Areas or, the Washington National Capital Region Flight Restricted Zone, without specific authorization. Such areas are depicted on charts available here. Additionally, model aircraft operators should be aware of other Notices to Airmen (NOTAMS) which address operations near locations such as military or other federal facilities, certain stadiums, power plants, electric substations, dams, oil refineries, national parks, emergency, services and other industrial complexes. In addition to the previously mentioned link, information regarding published NOTAMS can be found here. The Government will frequently restrict airspace temporarily. These are called Temporary Flight Restrictions (TFR). TFRs are issued over specific locations due to disasters, or for reasons of national security; or when determined necessary for the management of air traffic in the vicinity of aerial demonstrations or major sporting events. Do not operate model aircraft in designated areas until the TFR is no longer in force. Finally, Model aircraft operators should follow best practices including limiting operations to 400 feet above ground level (AGL). The FAA has developed a mobile app called B4UFLY which helps you identify if there are any restrictions where you want to fly. We highly recommend you download and use it. You should note that registration rules may vary by country, so please check in your own country to see what the specific rules are governing registration. In the United States, if you are only flying the drone indoors, you don’t not need to register your drone. Also, as mentioned before, there are some very small drones that are considered below the threshold required for registration by the FAA. Anything larger, if flown outdoors, must be registered, and the registration process is slightly different depending on which rule the pilot will be operating under. If you operate your UAS exclusively under the Special Rule for Model Aircraft, you must use the web-based registration process to register once and apply your registration number to as many UAS as you want. In other words, for the special rule for Model aircraft rule, the operator is essentially being registered and every drone they use (which must meet the requirements for operation under this rule) must then be marked with that registration number. If you will be operating the drone under the Small UAS Rule, then the owner must register each drone individually, and each registration will cost $5. 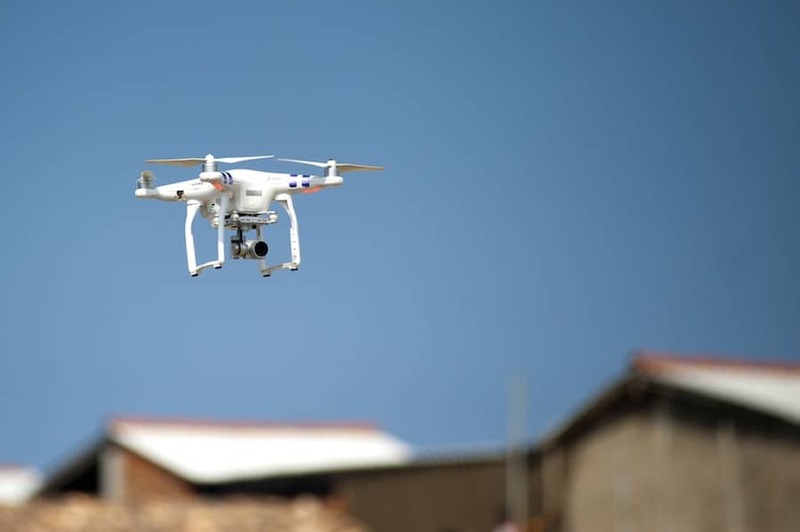 The owner will be required to provide their name, address and email address, in addition to the make, model and serial number (if available) for each Drone. One special note. If the Drone you are registering is more than 55 pounds then you must use the paper based registration. Regardless of the rule you meet, when operating outdoors, if the Drone is more than 0.55 pounds, then the Drone must be registered, and the Drone must be marked with the registration number. Just as important, the operator must have a copy of the registration (paper or electronic) with them when operating that Drone. We recommend that every Drone pilot get some basic training. Another free resource we really like and highly recommend can be found here. It’s all for free, and won’t take very long to get through. But, we promise you will be a better and safer flyer if you just take the time to read through the material there. Here is a test study guide. You can find some samples of the kinds of questions asked in the test here. We highly recommend some supplemental training before you attempt the FAA Pilot certification exam. While there are several available online or in person, we recommend the $299 Drone Pilot Ground School course by UAV Coach. If you are in the Philippines, you can click here to learn to fly a drone and get the CAAP certification. Viper Drones also has an interesting Training Program which costs $350 and is for students, educators and NGO volunteers or workers. INSIDE TIP: if you send them an email at [email protected] they will give you a discount allowing you to purchase the training at $199. Finally, we recommend you practice in a safe and remote place away from other people, until you have figured out the basics of your Drone. Only then should you take your Drone out in public where it can do potential damage. Drones are expensive machines that are also fragile and easily damaged. Like any sophisticated precision machine, as it is used, important components will become worn and require maintenance or replacement. Untimely replacement could lead to accidents. Notwithstanding, all the training and due care, if you are an enthusiast or amateur, you will likely crash your precious Drone. And the damage can be expensive to repair. Replacing batteries and propellers are simple and the least of your worries. Reattaching a connector to a gimbal or camera, or replacing one of those could end up costing an arm and a leg. For other DJI products we recommend you send a message to Viper Drones at [email protected] with the specific model and they will get back to you with options. Read more about Consumer Protection Services. If you don’t see what you are looking for, we highly recommend an email to [email protected] or you can call them at the number found on their website. Finally, we recommend all drone pilots have some liability insurance to cover accidental damages to third parties. If you are flying under the Small Model Aircraft Rule, then we recommend you join the Academy of Model Aeronautics. Their membership which costs $75 per year includes a $2.5M personal liability coverage (subject to operating under their rules and limitations). For commercial operations, or flying under the Small UAS rule, you will need specialized insurance coverage, which we highly recommend. Contact My Drone Services for recommendations on providers in your market. We don’t recommend anyone fly a Drone unprotected. It’s a precision machine which requires some skills to operate. Small drones have a relatively good safety record (and recent studies suggest they might not pose as much danger to manned aircraft as was first believed), however they are still capable of causing significant harm in the air and on the ground. A number of drone pilots have received fines for crashing their drones into people. In Washington, a Drone pilot was sued after a state investigation found his Drone had struck a woman in the head. Even more heartbreaking, was the story of the toddler that lost an eye to a Drone propeller in 2015. The reality is that near misses are a lot more common that we believe, and should be. All the good things Drones can do may never take off unless every one who has pilot control of a Drone is a responsible pilot.